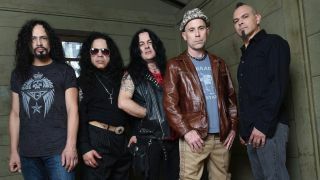 Armored Saint have given more details about their upcoming seventh album. The nine-track recording is the follow-up to 2010’s La Raza. The band will tour the US in May with Saxon and return to the UK for a show at London’s Elecrtic Ballroom on August 6 ahead of their appearance at Bloodstock the following day.